Danny McBride, Rosemarie DeWitt, Lolli Sorenson et al. Cassie (Rosemarie DeWitt) is a real estate agent and single mom struggling to keep it all together during the housing crisis of 2009. 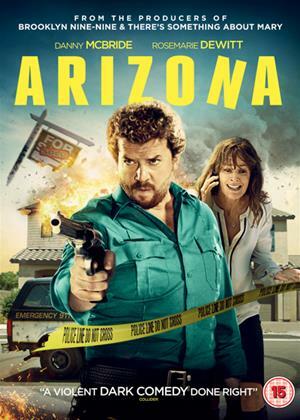 Her problems go from bad to worse when disgruntled client Sonny (Danny McBride) violently confronts Cassie’s boss and then kidnaps Cassie - making one outrageously bad, and bloody, decision after another. Things completely spiral out of control in this explosive action comedy, also starring Luke Wilson (Idiocracy), Kaitlin Olson (“It’s Always Sunny in Philadelphia”), David Alan Grier (“The Carmichael Show”) and Elizabeth Gillies (“Dynasty”).